The EU LCS bottom place team will try and rally against Misfits without their marksman. H2k Gaming bot laner Patrik “Sheriff” Jírů will not be playing in today’s European LCS matches due to a personal loss, the team announced on Twitter this morning. Jungler Ilyas “Shook” Hartsema will be playing in his place, EU LCS host Eefje “Sjokz” Depoortere said on the broadcast. The team’s best player, mid laner Marcin “Selfie” Wolski, will also be making his return after missing two weeks due to illness. Sheriff was a large part of the team’s playoff run in the spring, helping them to the quarterfinals. 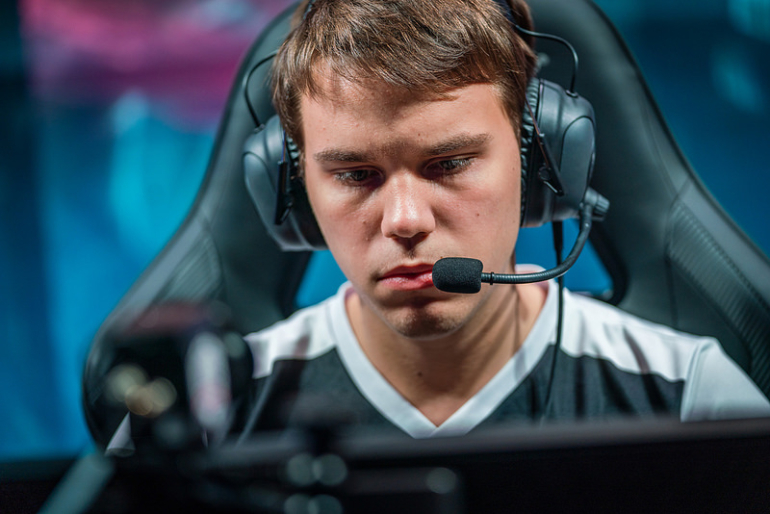 In the Summer Split, however, meta shifts hurt the team and caused a sharp losing streak. Sheriff especially felt the blow, since the marksmen he was known for playing were no longer in vogue. H2k dropped 13 games in a row before finally rallying against Splyce for a victory last week. In that game, the team were missing Selfie and fielded rookie Emil “Larssen” Larsson instead. Larssen breathed fresh air into a roster that has looked lifeless for long stretches of the split. Shook will be tasked with doing the same. The former star jungler helped the team turn their split around in the spring, but has been unable to have an impact in the summer. H2k will face Misfits Gaming, one of the best teams in the league, today at 12pm CT.